The SF-66K handles most foreign and domestic front-wheel drive, rear-wheel and all-wheel drive transmissions, including the Allison 1000/2000. Its rotating head stock can adapt to front wheel drive transverse transmissions, including Honda® and Mitsubishi® , and longitudinal transmissions such as the Chrysler® 42LE. The rotating head stock also makes it easy to switch between different test configurations. The four available motor sizes (40 hp, 60 hp, 75 hp, 100 hp) ensure the correct power for the job. The included auto-stall feature provides a quick yet complete test. Now with ATP's Test Cube and SuperFlow's WinDyn data acquisition and control system you can control and fully test electronically shifted Mechatronic transmissions and valve bodies on any transmission dynamometer or valve body tester equiped with the WinDyn Test Cube option. Check out the options section for more information. The supports used for both input drive and transmission will pivot to accommodate longitudinal and transverse transmissions. The SF-66K is powered with an electric motor for clean, quiet operation and precise control. There are four motor options available in 40, 60, 75 and 100 hp sizes. And, it tests in either rotational direction, to accomodate all types of inline T-drive, or transaxles transmissions. The SF-66K power absorption units (PAUs) apply load to the output shaft(s) of the transmission to simulate road conditions such as hills, air resistance and towed weight. 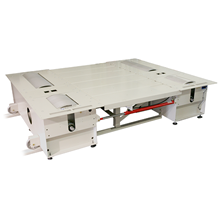 The standard air-cooled eddy current PAU is virtually maintenance-free and extremely reliable. Unlike hydrostatic load units, there’s no oil, water or filter to maintain, and just one moving part. The PAU allows you to perform true full-throttle, load-induced downshifts. It can load test transmissions all the way to first gear and maintain them, even when the drive system is set at full throttle. 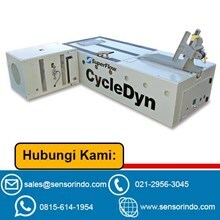 The optional trunnion-mounted eddy current absorber dynamically measures the output torque of the transmission. It’s also equipped with an air-actuated brake rotor and caliper to test stall force. All PAU configurations can be adjusted vertically and side-to-side to accept a wide range of test transmissions. 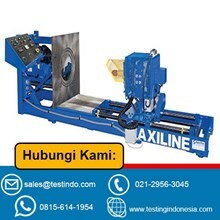 Alat Uji dan Mesin AXILINE 66K TRANSMISSION DYNO ! IndoTrading.com adalah media iklan khusus Perusahaan, Toko, Distributor, Grosir, Agen, Supplier, Importir, Exportir, Trading dan Pabrik. 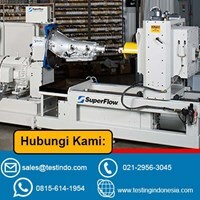 Jika Anda tertarik untuk membeli Alat Uji dan Mesin AXILINE 66K TRANSMISSION DYNO ini dengan harga murah, Mohon hubungi Kontak Perusahaan ini diatas.